If you want to make sure you’ll have hot water whenever you need it, it’s a good idea to flush your water heater every couple of years. Over time, mineral sediments build up, and those sediments can not only cut down on efficiency but also cause corrosion, shortening the life of the tank. 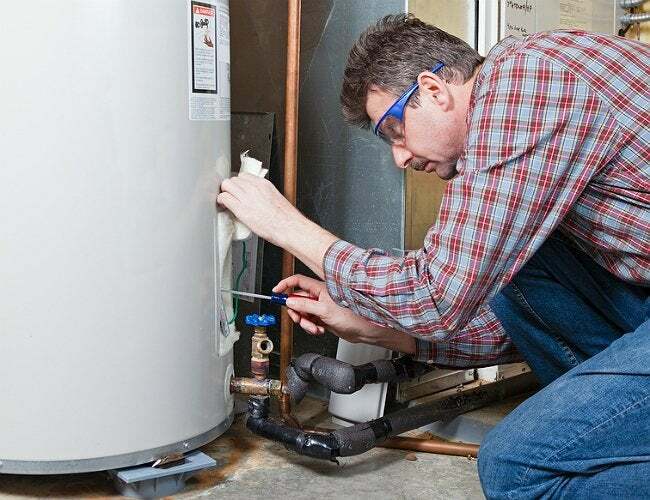 To flush the water heater, start by cutting off the electricity or gas, whichever powers your heater. Also, shut the valve that supplies water to the tank (it’s at the top of the tank). Then proceed to attach a hose to the drain valve at the bottom of the tank, positioning the other end of the hose outside the home or into a drain below the level of the drain valve. Open the valve. Next, open a hot water faucet in the house. That’ll allow air into the system and soon, water should begin draining out the hose. Be careful: Water exiting the heater will be very hot! Once the tank’s finished draining, close the drain valve, open the supply valve, and power up the heater.